​​Deep in the heart of the Valley of the Moon lies the Crossroads, a twisting series of magical pathways that lead to every fantasy story ever written. The Crossroads have long been at peace, guarded for centuries by the wise wizard Zogog. However, when an evil force threatens the Crossroads, it is up to an unlikely band of heroes including Legolas, the Mad Hatter, and Hermione to save all their stories disappearing forever! This Summer your family is invited to a magical adventure brought to life as only Valley of the Moon can. Join us for six beautiful summer nights in July as we present The Crossroads! Come experience real magic in Tucson's enchanted heart! 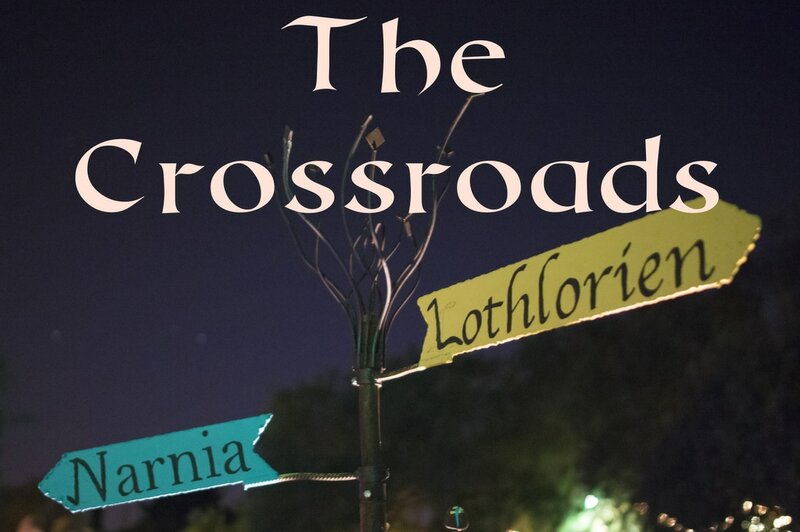 The Crossroads is an all ages 40 minute walking fairytale adventure through Valley of the Moon. If you have special needs please feel free to get in touch to make arrangements. We want to see you there! TICKETS: $5. Members and kids under 7 FREE. TIME: Adventures every 30 minutes from 6:30 to 9 p.m.
TICKETS: Available online here and in person at the gate. Tickets available in person only after noon on the day of the performance. ​Volunteers are still needed for this year's show. It takes a lot of people to produce this much magic! There's a job for every ability and we encourage family and friends to volunteer together. Click here to see the available slots and sign up.